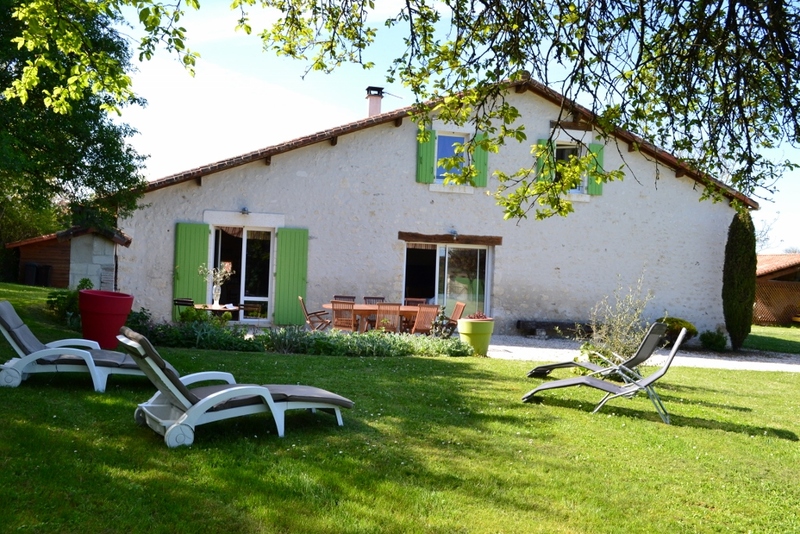 Situated in the heart of the Charente countryside, at a distance of 15 km from Angoulême, La Grange d’Obevie welcomes you in a nice, quiet and pastoral setting in the village of Fouquebrune. This former barn has been, renovated and carefully decorated, is the ideal place to recharge one’s batteries. It can house 8 people and is classified 3 ears of corn by Gîtes de France.